Councils have been urged to sign up academy trusts to help to track home-educated pupils, as new figures reveal a 27 per cent surge in the numbers removed from school by parents. An alternative provision (AP) academy trust has what AP experts believe is the only contract in the country to monitor home-educated pupils and return them to school if necessary. Sarah Gillett, the chief executive at ACE Schools multi-academy trust, which has one AP and two special schools, has said that her contract with Plymouth city council to support vulnerable home-educating families was “a no-brainer”. Her team was experienced in returning pupils part-time or full-time to school where needed, she said. 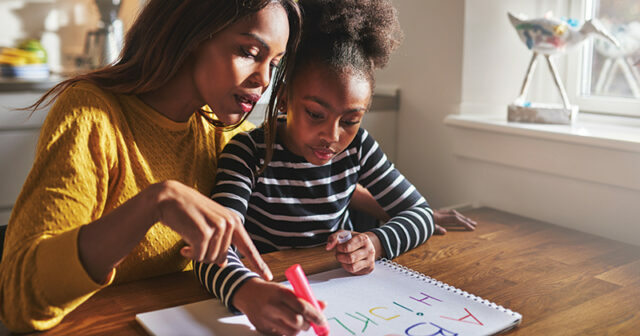 A survey of 106 councils from the Association of Directors of Children’s Services, published yesterday, revealed the number of home-educated pupils across the country rose 27 per cent this year, from 45,500 to 57,800. The pupil population rose 0.8 per cent. The survey also revealed that almost a third of home-educated pupils were known to children’s services, and most had previously been in school. ACE’s contract, in place since 2011, funds an “elective home education teacher” and administrator. The trust contacts parents six weeks after it is notified that a pupil will be home-educated. Most take up the trust’s offer of workshops such as “kitchen sink science” and resources. ACE now works with 100 families, Gillett said. Her team also run 12-monthly reviews of education health and care plans (EHCP), which are special needs statements. Once a pupil leaves the education system he or she cannot access the support in the plan. The trust’s review prevents it becoming outdated with the local authority, allowing the pupil to return to school without having to apply again, Gillett said. Finally, if home education “doesn’t sit comfortably” with the trust because of safeguarding or suitability, the parents are reported to the council who may enact their legal “duty to intervene” and return the pupil to school. Currently, schools must tell councils if a pupil is removed from the register. Parents have the legal right to give children a suitable education “by attendance at school or otherwise”. Rob Gasson, the chief executive at the Wave AP multi-academy trust in Cornwall, said he would “absolutely” like a similar contract across his ten schools. His staff were more up-to-date with the education landscape than a local authority team that had been out of schools for years, he said. The Department for Education is considering feedback from a consultation that proposed a register for home-educated pupils, a call backed by Ofsted. A bill for councils to assess home educators annually, spearheaded by Lord Soley, the Labour peer, is set for its second Commons reading next Friday. This is appalling! Believe it or not there are more vulnerable children not receiving a suitable education in schools than there are home educated. The “trust” is clearly discriminating home educated families, what makes them qualified to judge what they deem as a suitable home education? The assessment that Lord solely’s bill refers to breaks human rights in all ways! Police can’t even interview your child without a parent or career present, yet a random council worker could force entry onto a private property without a warrant and interview both parent and child without permission, that is treating people like criminals and nothing to do with safe guarding. If safe guarding is a problem then health visitors should be made compulsory which they are currently not. There are thousands of children leaving school at school leaving age every year without having received a suitable education. It is also forcing parents to share a lot of personal data, as someone who works with big data I find it concerning that the motive behind monitoring home education is more to do with collecting personal data that’s worth a lot of money than it is to do with children’s education or safeguarding. How about starting with improving the massively failing education system that is both pupils and teachers huge amounts of stress.